Many symptoms and situations may require a colonoscopy. Frequently, a routine colonoscopy or colon screening, will show the overall healthfulness of the colon and large intestine. Colonoscopies can help diagnosis polyps in the colon, ulcers, bleeding, tumors, inflammation, acid reflux, and colon cancer. Colon cancer occurs in the large intestine, which is the lower part of the digestive system. The last several inches of the colon, can be susceptible to rectal cancer. If combined, an individual may have colorectal cancer. Colon cancer often begins as a small, benign clump of cells known as polyps. As time passes, these polyps can become colon cancer. Much like other cancers, these polyps may not produce any immediate symptoms. This is why physicians and gastroenterologists recommend annual screenings, or colonoscopies, to locate and remove polyps before they become cancerous. How do you know it’s time to call Dr. Yamini? If you’re noticing any symptoms of colon cancer, such as constant changes in bowel movement, blood in your stool, or persistent abdominal pain then now is the time to call our office and schedule an appointment, (310)285-3005. Dr. David Yamini always treats his patients with gentle and compassionate care, taking his time during all procedures. Although guidelines typically recommend patients begin colonoscopy screenings at the age of 50, you may have other risk factors, such as family history, or disease symptoms that may indicate earlier screening. Do You Really Need a Colonoscopy? During a colonoscopy, Dr. Yamini will be looking for anything that could be causing you pain, or cancer. Only during a colonoscopy can cancer causing polyps be found and removed, simultaneously. If Dr. Yamini finds anything concerning, such as a tumor, or large polyp he will conduct a biopsy, sending it to a lab where it’s checked for pre-cancer or cancer cells. Colonoscopies save lives and regular colorectal cancer testing, or colonoscopies, are the best way to prevent colorectal cancer. Dr. Yamini wants to ensure that we prevent colorectal cancer before it starts. Through colonoscopies, cancer can be found in early stages, before it can spread and while it is very treatable. Regular colonoscopies, or screening tests, is the best way to diagnose rectal cancer or colon cancer. 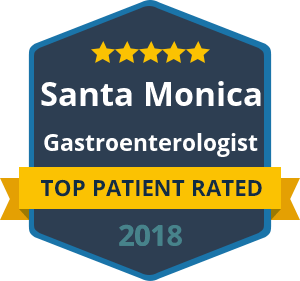 If you have questions about having a colonoscopy or would like to see Dr. Yamini, of Westside Gastro Care, call our office today for an appointment (310) 285-3005 or contact us here with your preferred appointment time and date and our staff will call to confirm.